University of San Jose-Recoletos (USJ-R) President, Rev. Fr. Cristopher C. Maspara, OAR signed the renewal of contract on Innovation Technology Support Office (ITSO) assistance for patent with President Melanie C. Ng of Cebu Chamber of Commerce and Industry (CCCI) on May 15, 2017 at Cebu Chamber of Commerce, IT Park, Cebu City. From left: Mr. Jessie S. Susada (Coordinator of USJ-R ITSO), Mr. Virgilio Escaleta (VP- for Business Development Services), Rev. Fr. 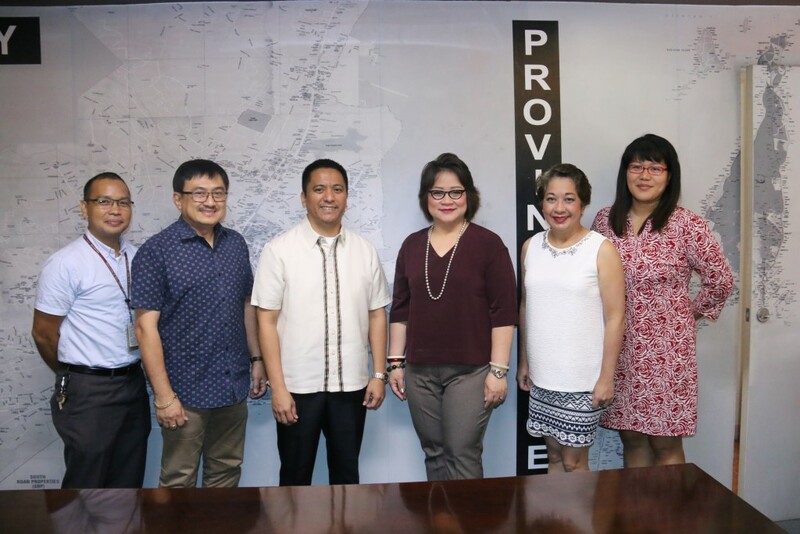 Cristopher C. Maspara, OAR (President of USJ-R), Melanie C. Ng (President of CCCI), May Elizabeth S. Ybanez (Executive Director), Marion B. Andales (Head of Business Development Management and Services Division). The contract aims to provide assistance on ITSO of Cebu Chamber of Commerce in relation to Intellectual Property (IP)services. According to Mr. Jesse S. Susada, Coordinator of USJ-R ITSO, the CCCI ITSO does not have enough human resources to provide services on IP protection to their clients so they will refer them to the USJ-R ITSO. Mr. Susada added that CCCI gets 20% referral free of USJ-R’s earnings but for the succeeding referral of the same client, CCCI only gets 10% of the income from USJ-R IP service. ITSO program is a patent library that serves and assists inventors for people filing an IP that started in 2012. Inventors cannot file an IP directly without the guidance of ITSO.